French Model Railway: Defraying some costs - at last. The biggest mistake was the initial decision to go for the very small N gauge. It was only once I'd purchased quite a lot of French rolling stock that I realised N gauge was simply too small for me to handle. The advantage of N gauge (as I'm sure I stated in an earlier episode of the blog) is that you can run trains with 7 or 8 or more carriages which is what happens in real life. In a domestic setting one usually does not have the room to run such long trains with HO scale. 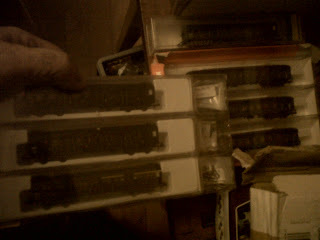 Anyway, I switched to HO scale some months ago and so have had all this N gauge stuff hanging around the house. But, thanks to an advert in the magazine for the SNCF Society, I have now sold the N gauge items. I'll have to pack it and post it all off tomorrow. Conscience salved to some extent. Today I have been mostly listening to an Austrian outfit, EPY. 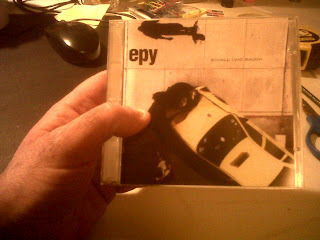 When looking them up for details on the internet I find that one website describes their music as follows: Genre - electronic; Style - downtempo, abstract and breakbeat. I must remember that. 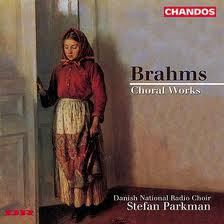 But, as I write today's episode of the blog it is the Danish National Radio Choir singing Brahms that is salving my soul.